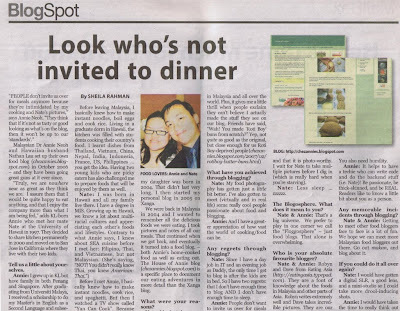 The House of Annie blog is very thrilled to be Blogspotted in the Malay Mail, one of the main afternoon newspapers in all of Malaysia! Welcome, and selamat datang, to all you readers who found us through that article! Thank you Num, for scanning in the actual newspaper article for us. And thank you to Sheila Rahman, the editor who interviewed us. We look forward to getting to know you new readers better. Feel free to leave comments or questions. >Congratulations on your success. I bet Annie must be happy too. 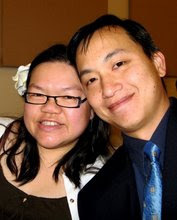 It’s great that you both were featured and more folks will get to discover your blog. Cheers! >How exciting! Way to go. You guys are celebrities. SWIFT Theme by Satish Gandham. 50 queries in 0.721 seconds.